In other templates you can see the image of a contact in the list, see image from Protostar, but how can this bee shown in Purity III? May I know which list are you mentioning? Please see the images. In the previous post you can see how it looks like with Protostar template. This reply was modified 1 year, 7 months ago by activesenior. It is already done both in the menu and in contact options but no picture shows up in the column. We cannot show the contact image in Purity III, T3 Blank or T3 bs3_blank all with T3 Framework but in template Beez3, Protostar, Favourite,… you can see the image of the contact. Table Headings is also missing in Purity III template for Contacts List for a Category but not in T3 Blank. 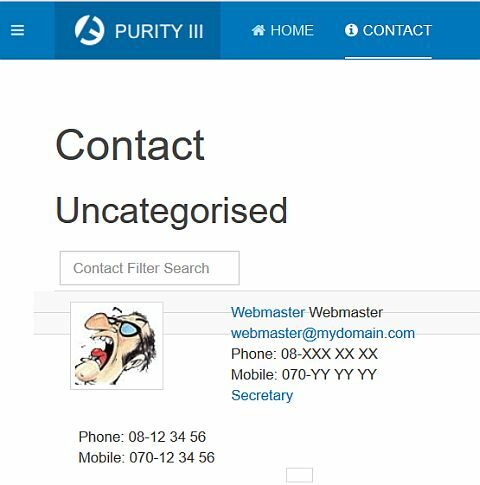 We have over 20 sites with Purity III on different servers and different extensions but no one can display the contact image in the category list. 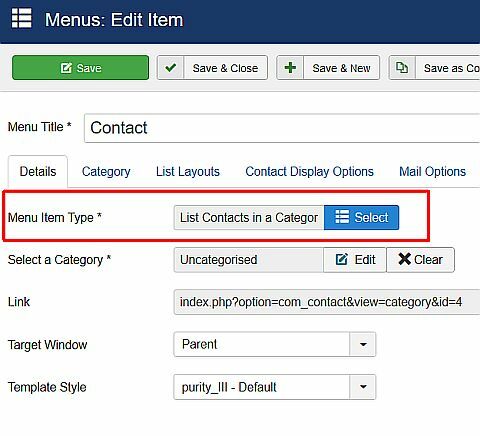 Could you please show a demo or link to a Purity III site where the contact image is shown in the contact list? Sorry, but it is not OK. The image is there but the contact details and rows are messed up. I found out that the problem could be solved if you change …/plugins/system/t3/base-bs3/html/com_contact/category/default_items.php and it will perhaps work also for other templates based on T3 Framework. I will share with the team for further checking. 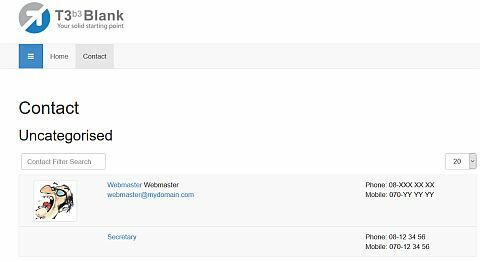 Now I have updated T3 Framework to version 2.6.7 but the problem with Category Contact List is not OK with the template Purity III compared with T3bsBlank! 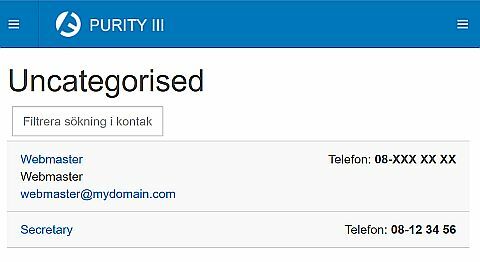 We use Purity III v1.2.0 in over 20 sites and in all of them the Contact pages are messed up after updating T3 Framework from v2.6.6 to v2.6.7, see images. Our problem is not solved but I hope next update of T3 Framework will solve it. Have you customized the contact view on your site? I tried with both version of T3 but they look the same. You can share the credentials of your site so I can take a look. This topic contains 24 replies, has 2 voices, and was last updated by Saguaros 1 year, 5 months ago.